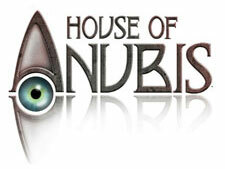 House of Anubis: Mystery and Suspense on Television. House of Anubis is a live-action series on Nickelodeon that combines mystery, comedy and drama. It follows eight students who stumble upon and try to solve a hidden mystery at an English boarding school, while dealing with the highs and lows of their teenage years. The series is based on the Belgian/Dutch television show Het Huis Anubis, which aired for four seasons from 2006 through 2009. The first season in the US aired every weeknight for 6 consecutive weeks, and consists of 60 11-minute segments, or "episodes", two of which were shown during each daily 30-minute time period.